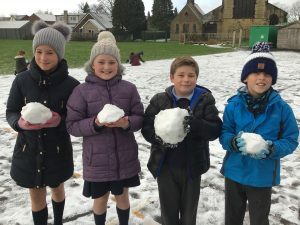 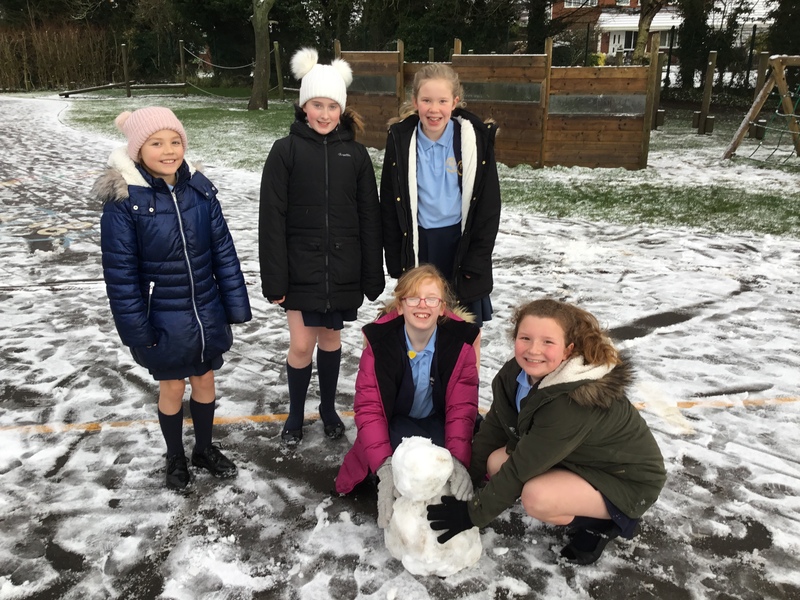 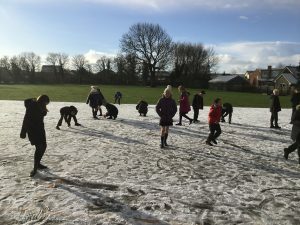 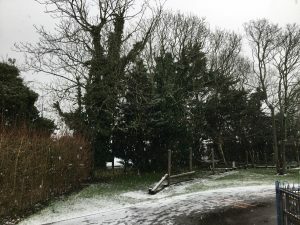 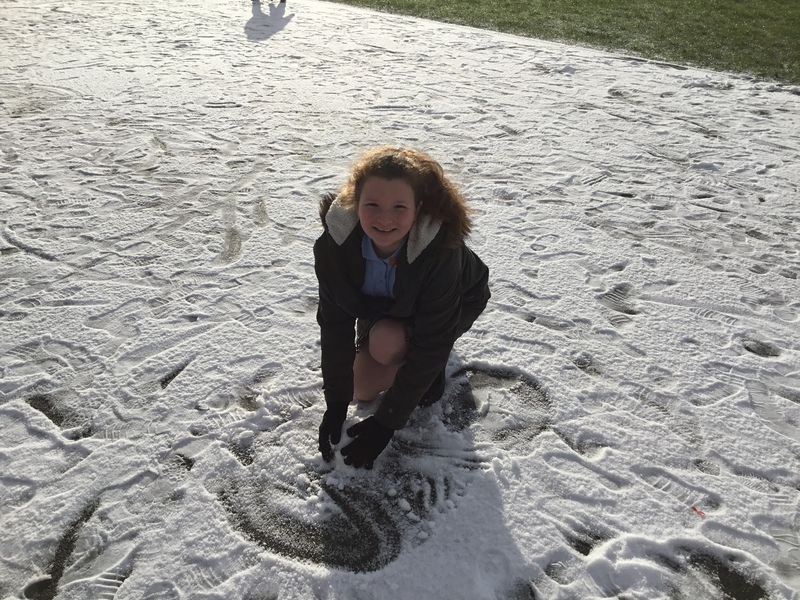 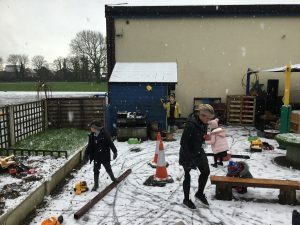 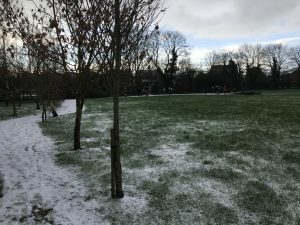 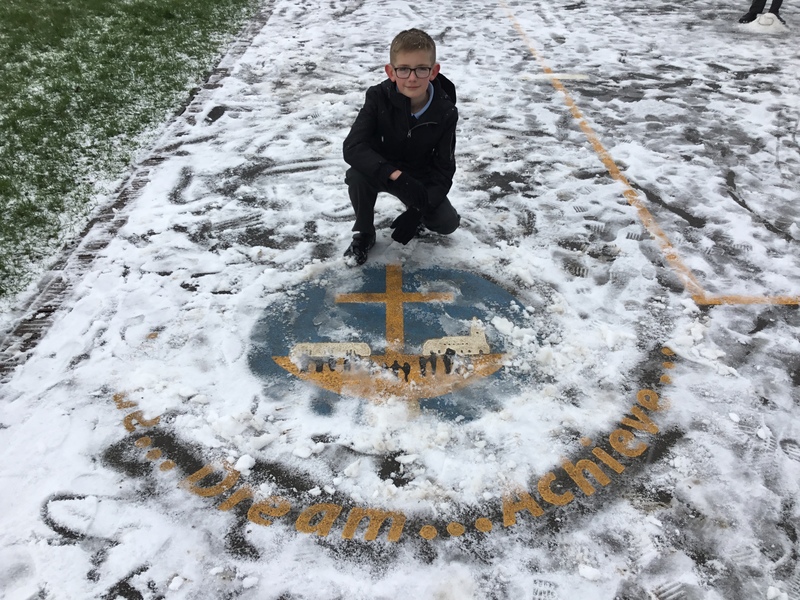 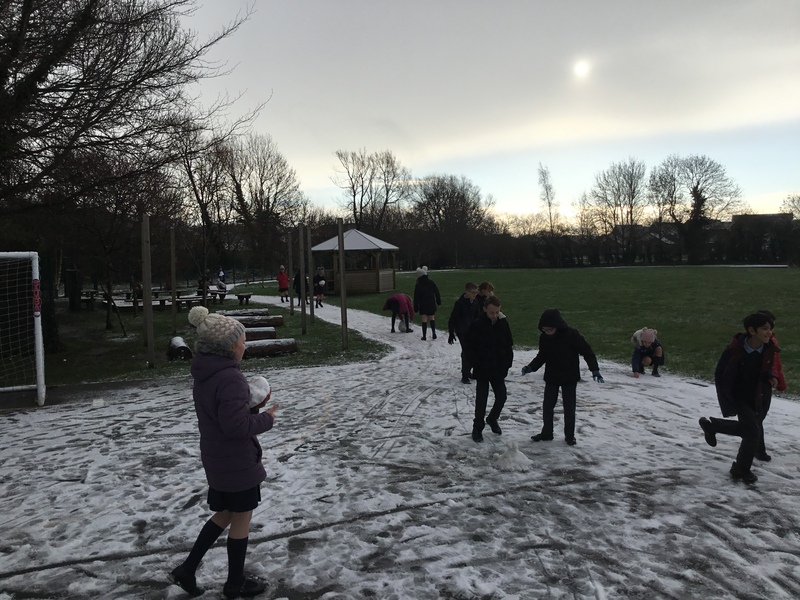 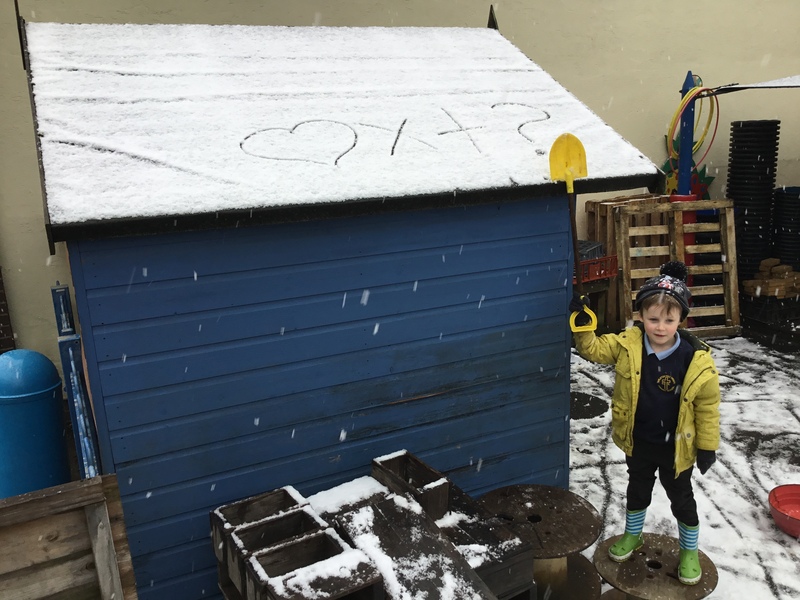 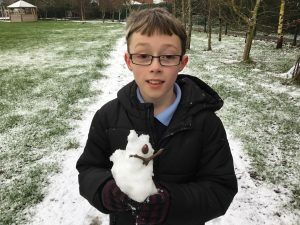 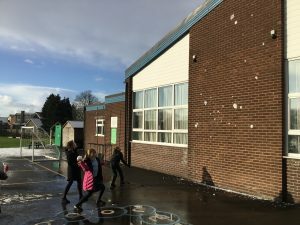 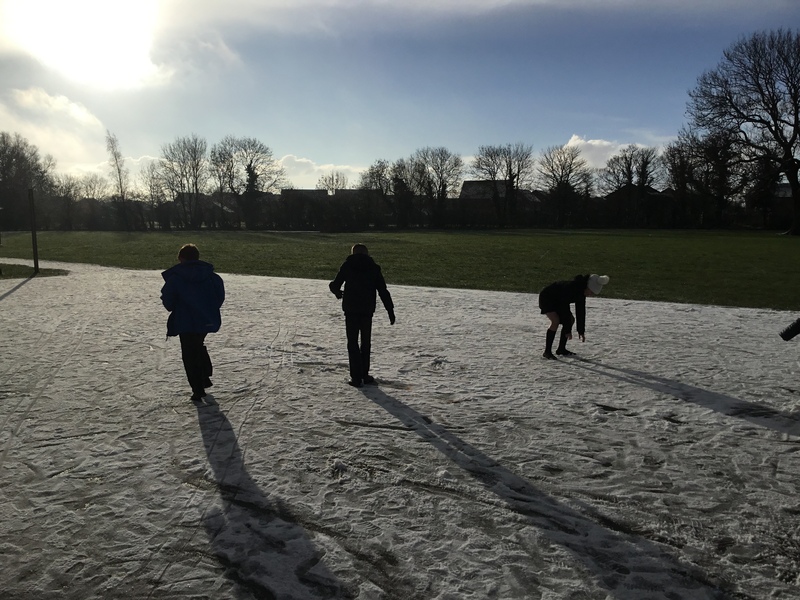 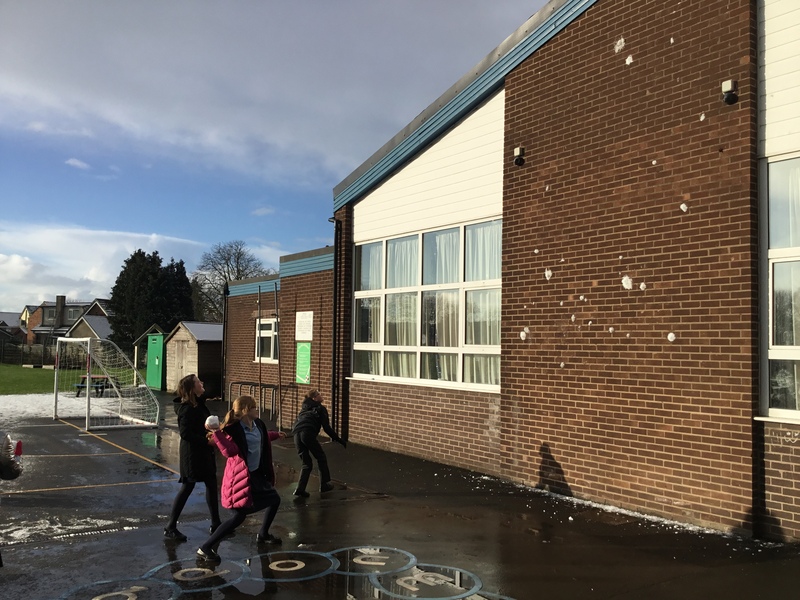 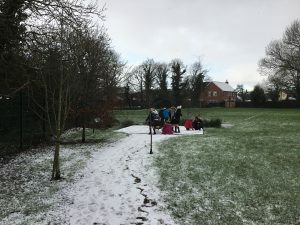 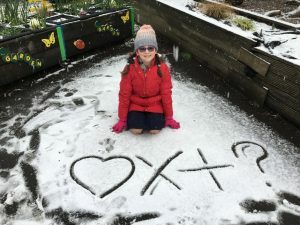 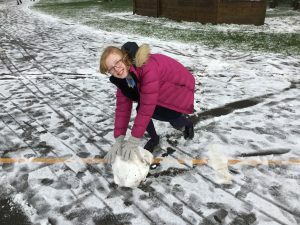 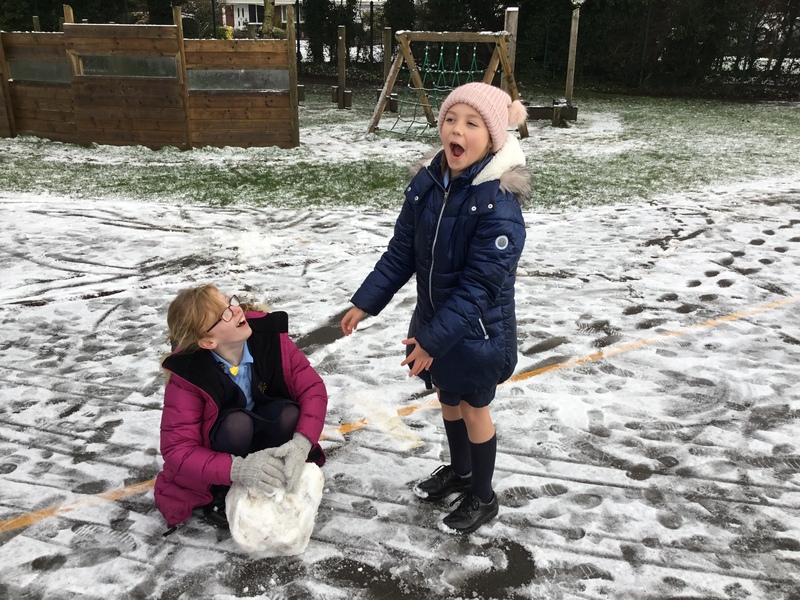 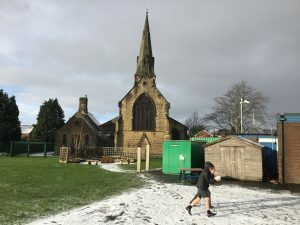 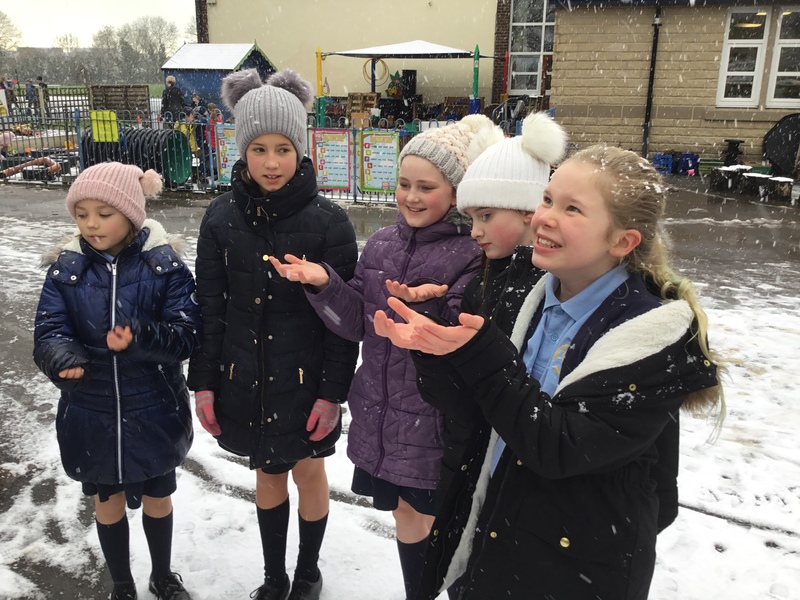 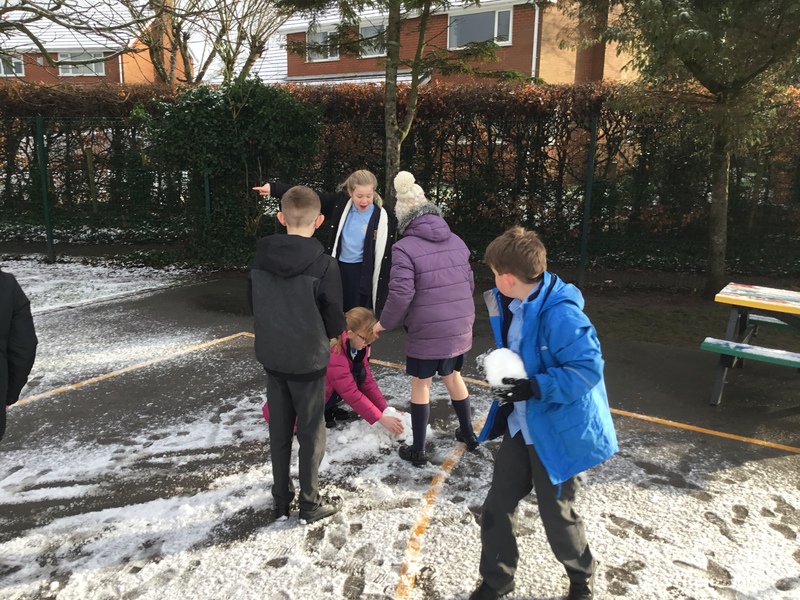 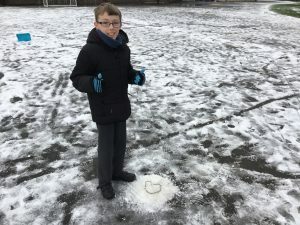 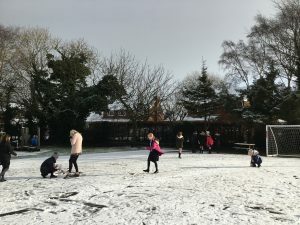 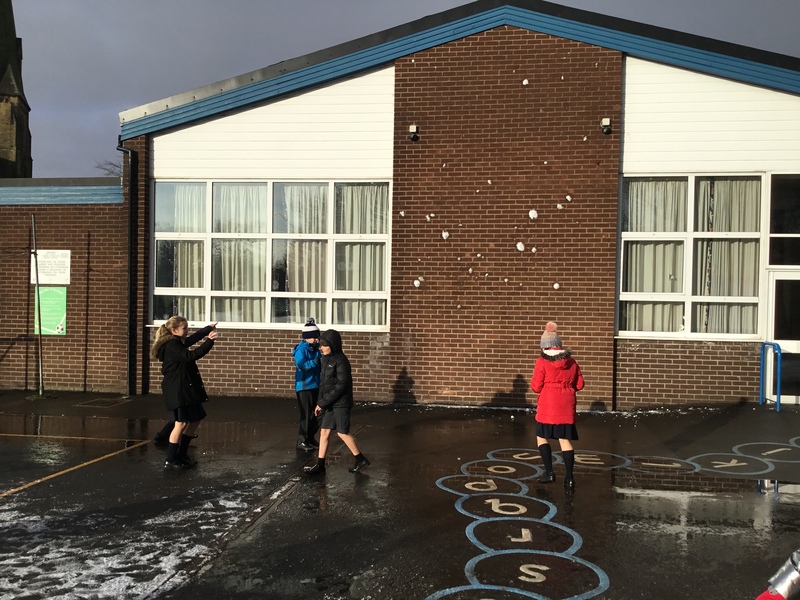 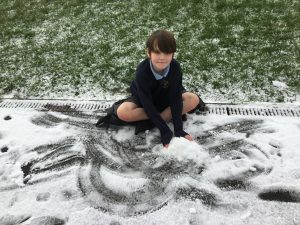 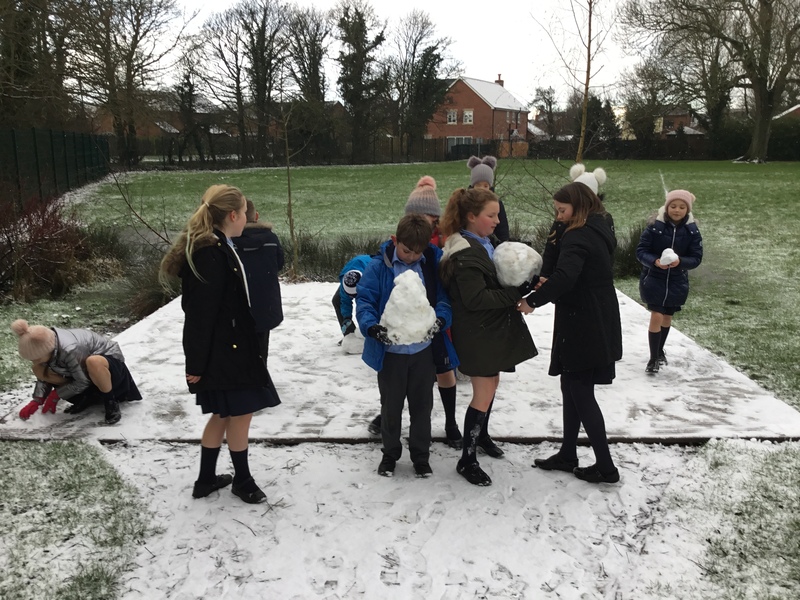 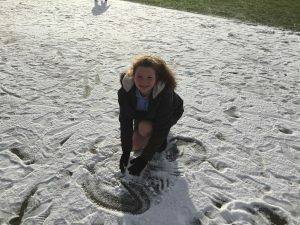 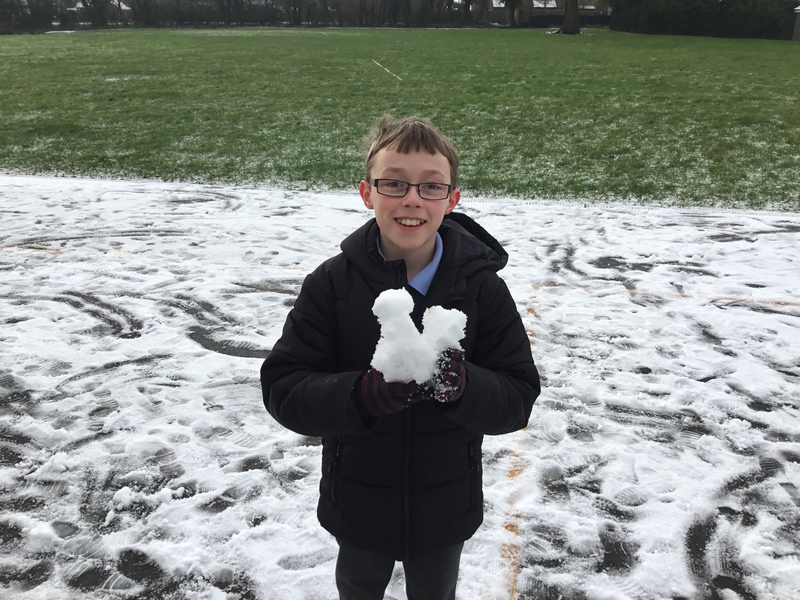 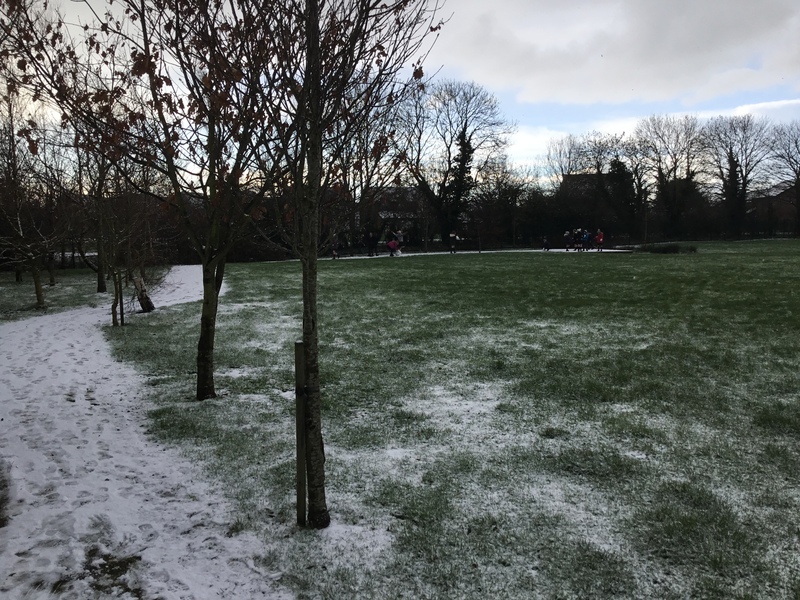 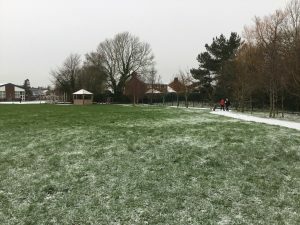 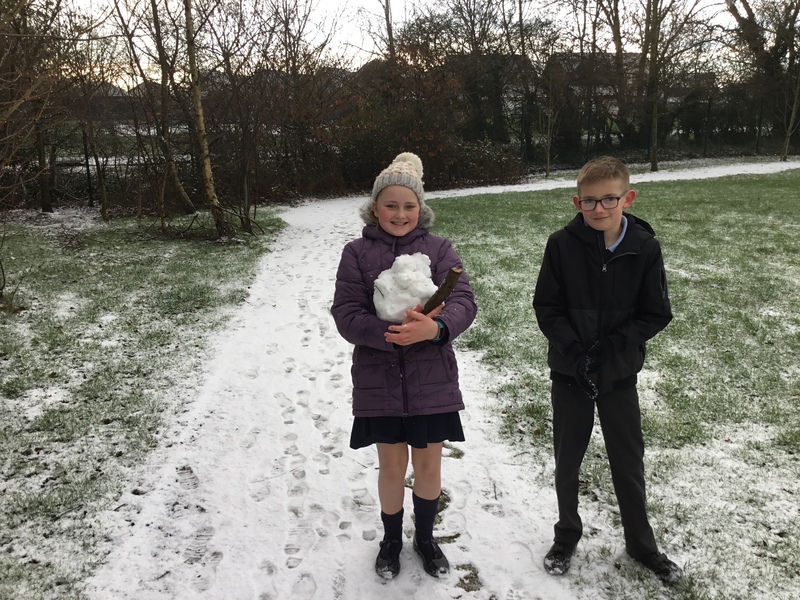 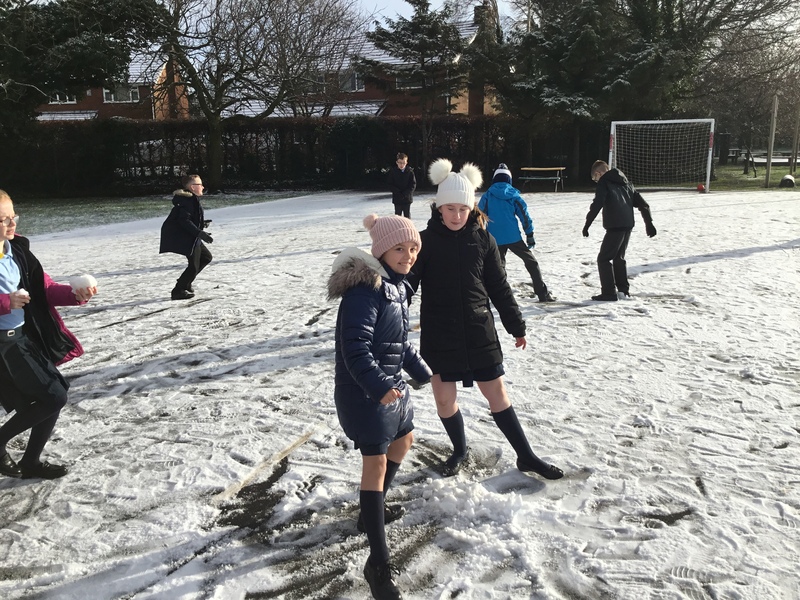 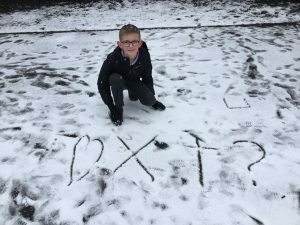 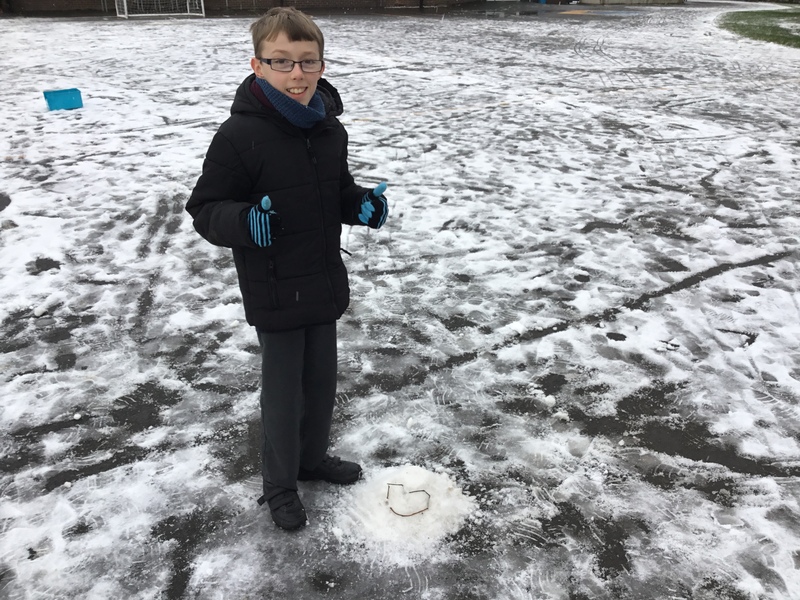 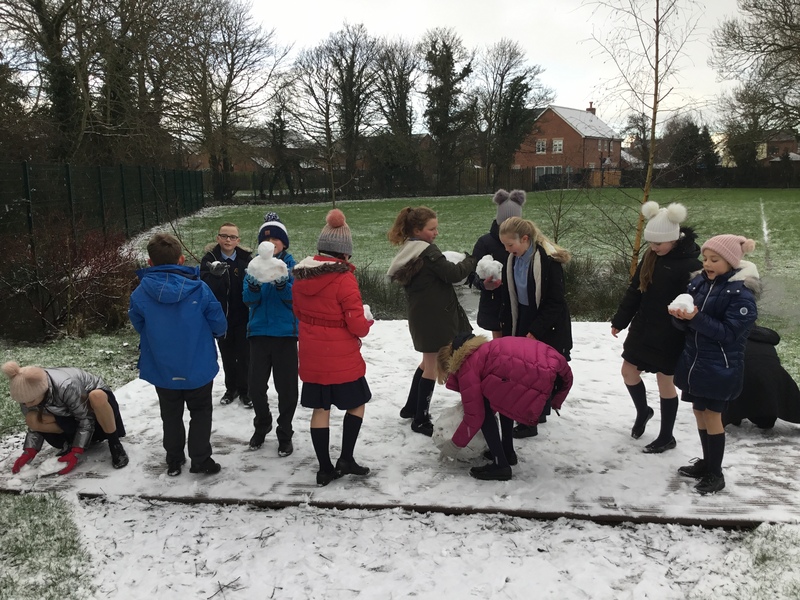 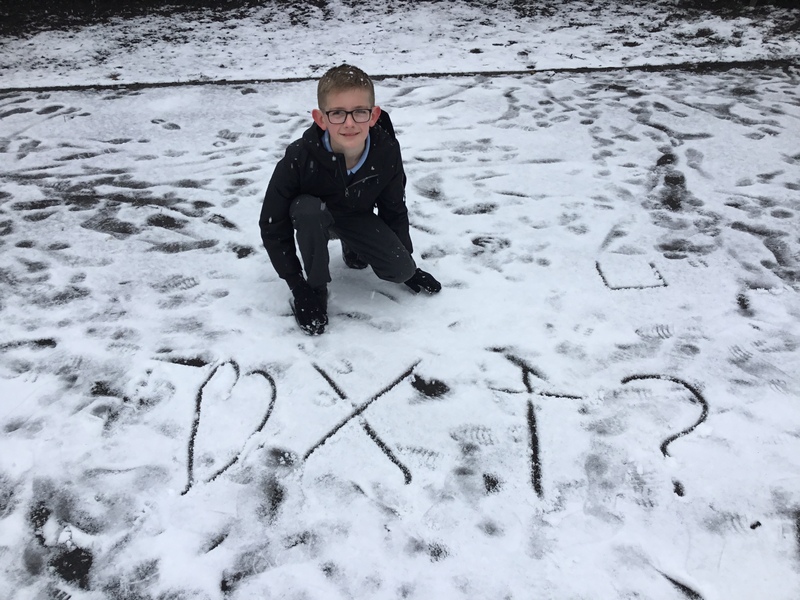 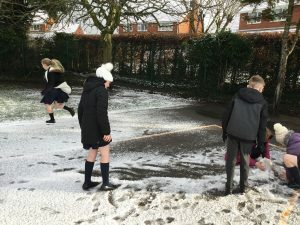 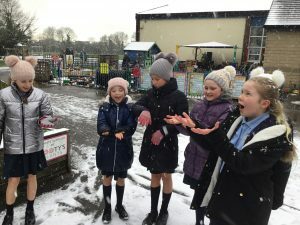 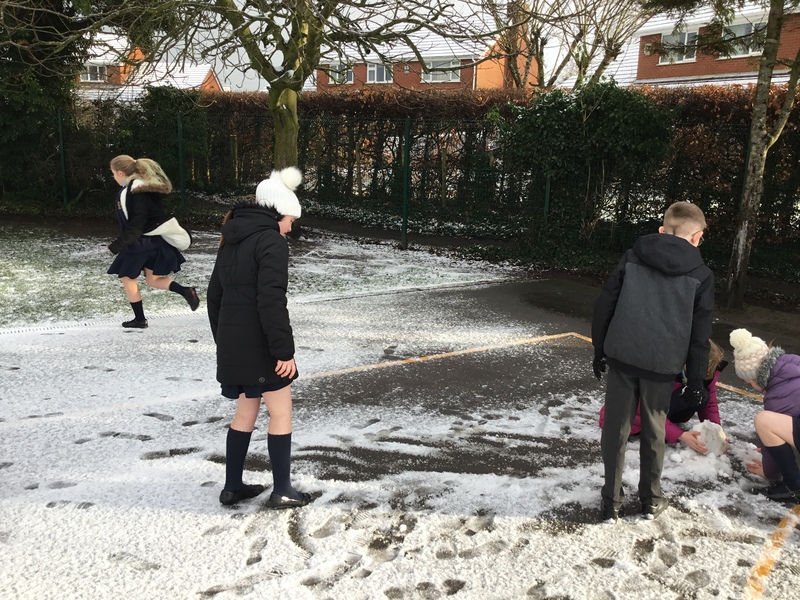 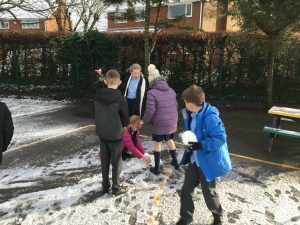 The Reception Class and some of Year 6 decided to draw the 4 points of the Gospel in the snow. The 4 points comes from a church in Liverpool and is now a world wide explanation of the Gospel. 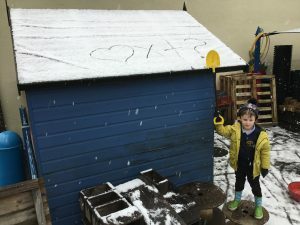 How God Loves us (even though we do wrong) , how Jesus died on the cross to save us and the ? is left for people to think about how they will respond to this fantastic GOOD NEWS.